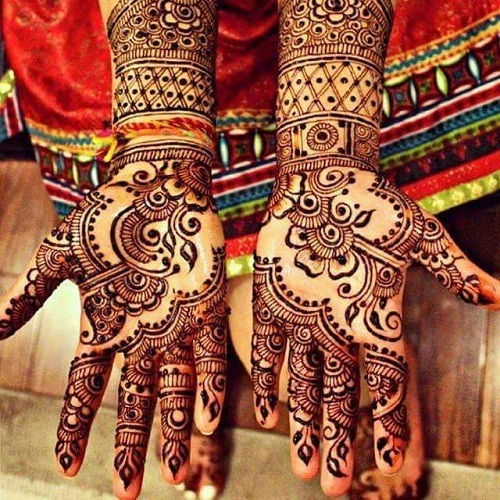 Check out 38 mind-blowing mehendi designs for Karwa Chauth! 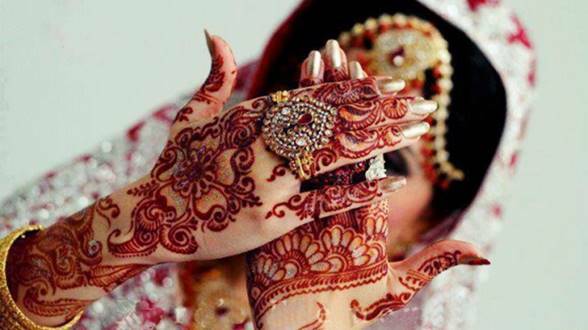 Another exciting and interesting day for the newly married bride is Karwa Chauth. 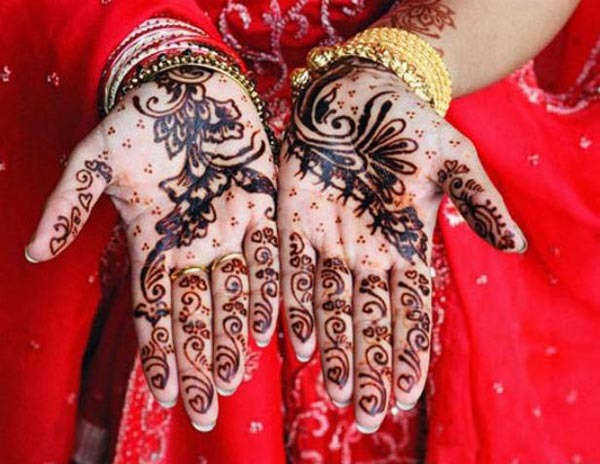 It’s time to don that special saree or lehenga and all that jewelry, which was part of your bridal trousseau. 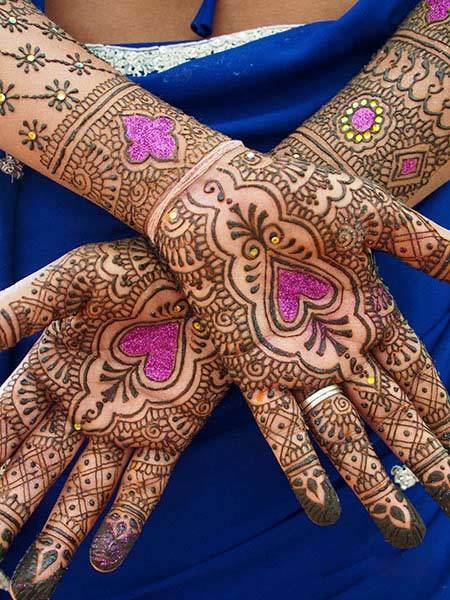 It’s also time to get your hands and feet adorned in the most beautiful mehendi designs of your choice. 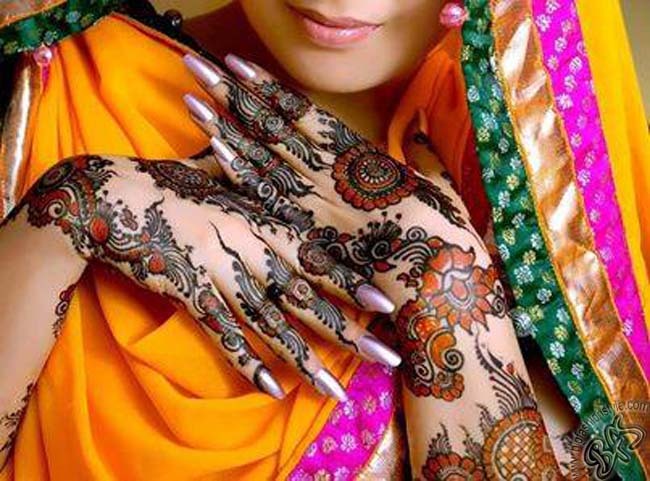 After all you want to look the best on this special day of your married life. 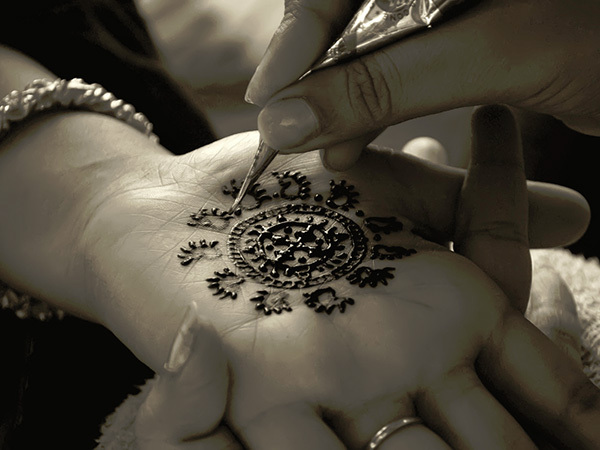 Either get your local mehndi artist to do it or book a renowned mehendi artist. 1. The peacock design: The peacock not only is a lovely bird to behold, but peacock designs are also unique in themselves. 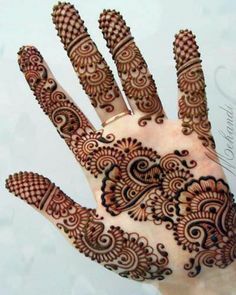 It is a symbol of love and grace, so then why not use this symbol to adorn your hands this Karwa Chauth for your beloved! 2. Butterfly-peacock fusions: A unique fusion of butterflies and peacock design, this style is eye-catching, interesting and very different. Try this out if you love experimenting. 3. 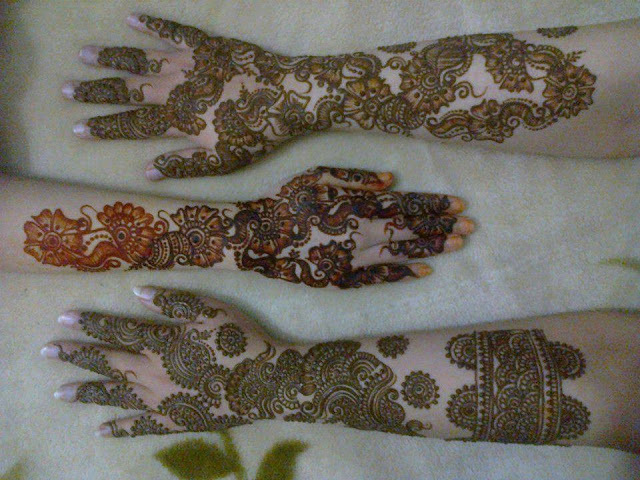 Floral mehendi designs: Floral designs have always been an integral part of mehendi designs. 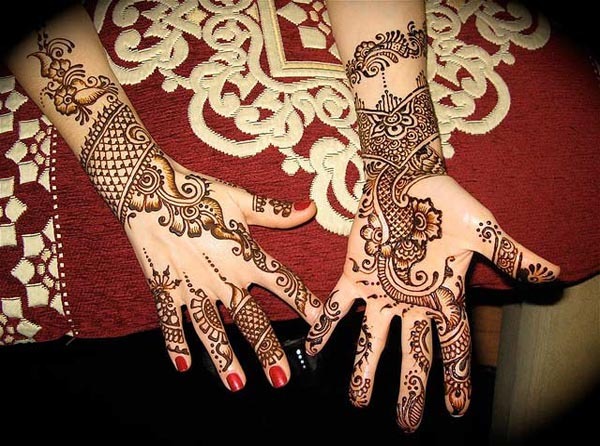 Be it the traditional designs or the modern minimalist ones, they look good both ways. 4. 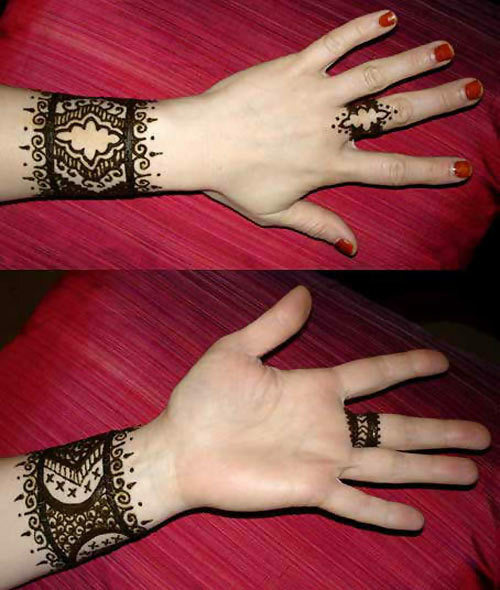 Bangle style mehendi design: A new trend in mehendi designs, paint your hands with bangle designs instead of wearing them. Looks interesting, unique and stylish! 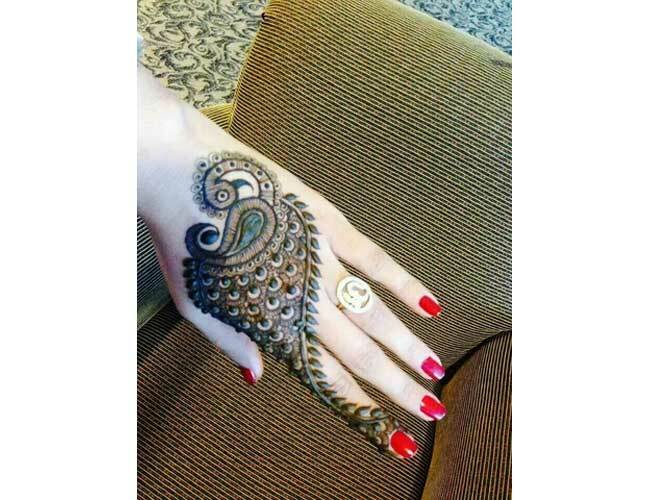 You can flaunt them with just an ornate wrist design or something that extends further down your wrists and covers the fingers like beautifully decorated rings. 5. Wheel of life: Inspired by the Jagannath Rath Chakra or the Wheel of the Sun God, this is one of the most imaginative and trendy style that you can adorn your hands with. This design is for the young and the fashionable. 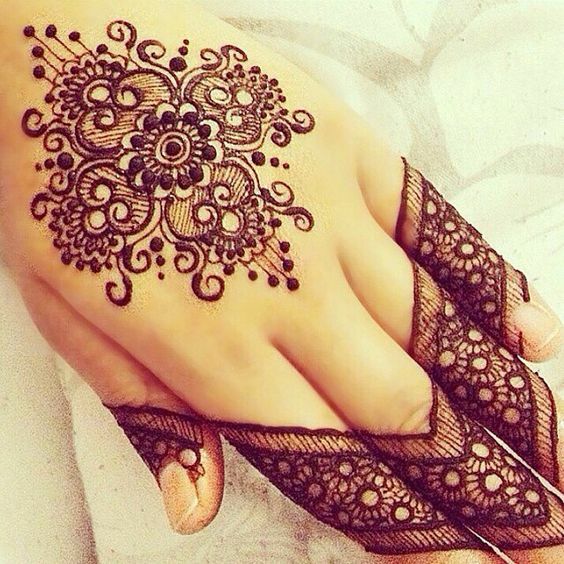 The appeal of this pattern is in its detail and intricacy. 6. 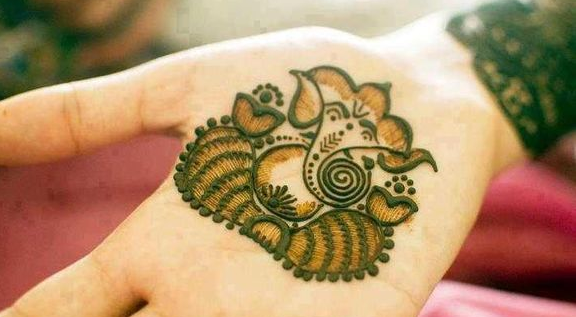 Ganesha designs: It’s the first Karwa Chauth of your married life, so what better way to celebrate it then to decorate your hands with the auspicious Lord Ganesha designs. 7. 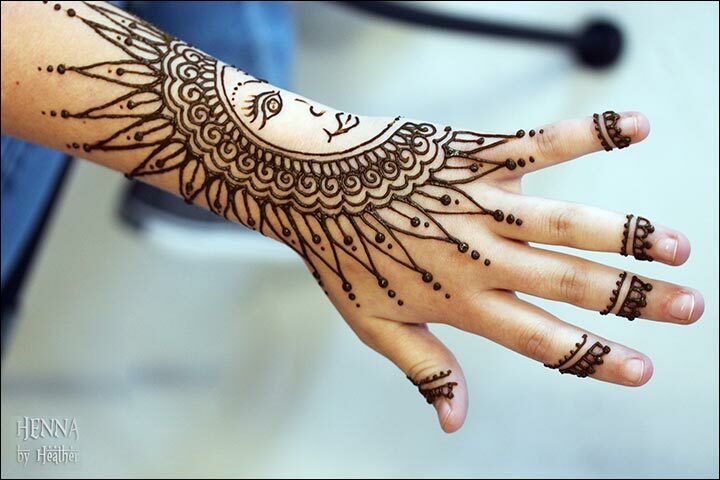 Sun and moon designs: The sun and the moon have been part of all Indian festivities. 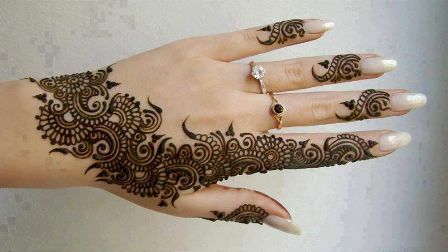 It is on spotting of the moon that the Karwa Chauth fast is broken. 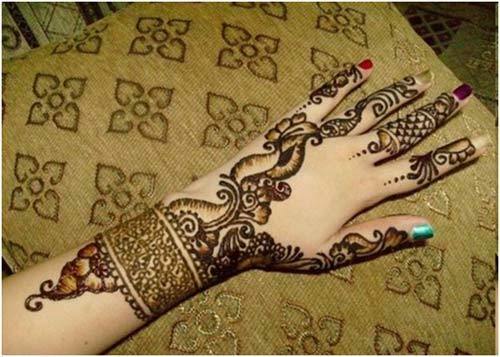 A blend of masculinity (sun) and femininity (moon), these designs look beautiful in their circular patterns and can be tried for a different look. 8. 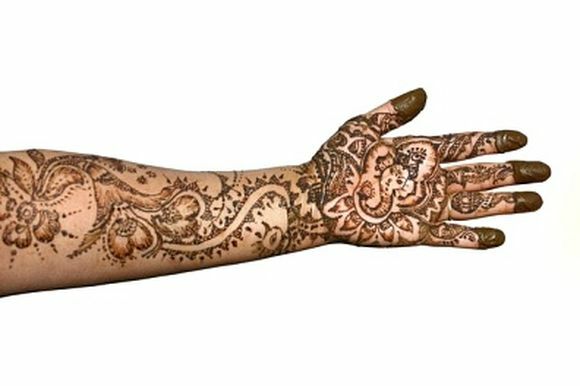 Indo-Arabic and Arabic designs: Some interesting designs from across the border, which are a mix of Arabic and Indian patterns. 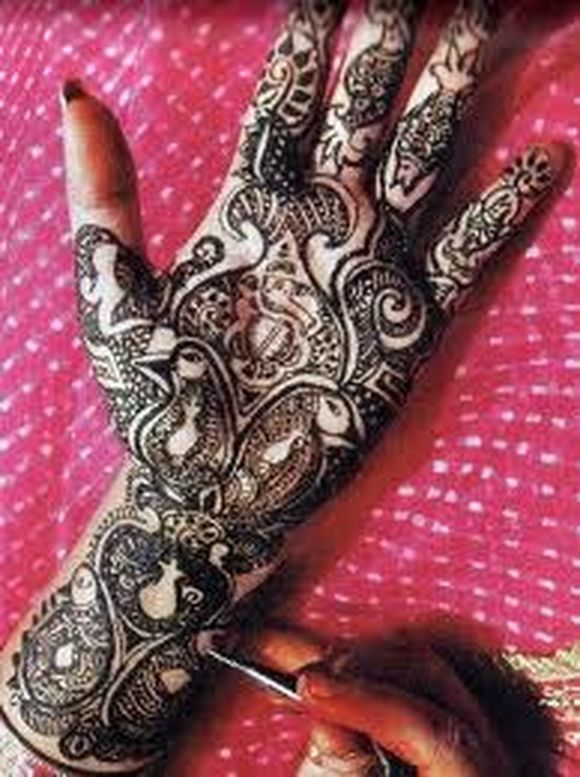 Bold Arabic patterns are filled with delicate Indian designs. Looks really attractive. So, try these out ladies! If you want to try only the Arabic ones, options are many. 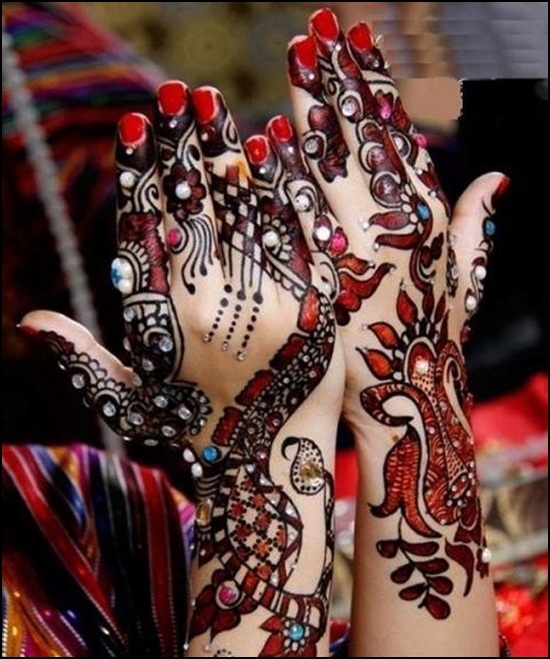 Arabic designs do not fill up the entire hand. They have thick, dense outlines of leaves, flowers and vines. 9. 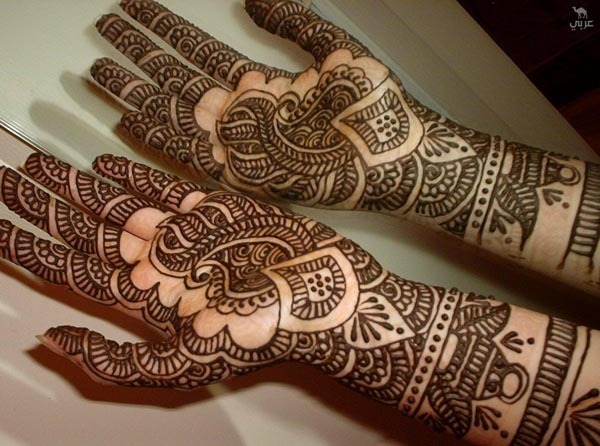 African/Moroccan designs: This one has geometric patterns with lines, dots and squares. 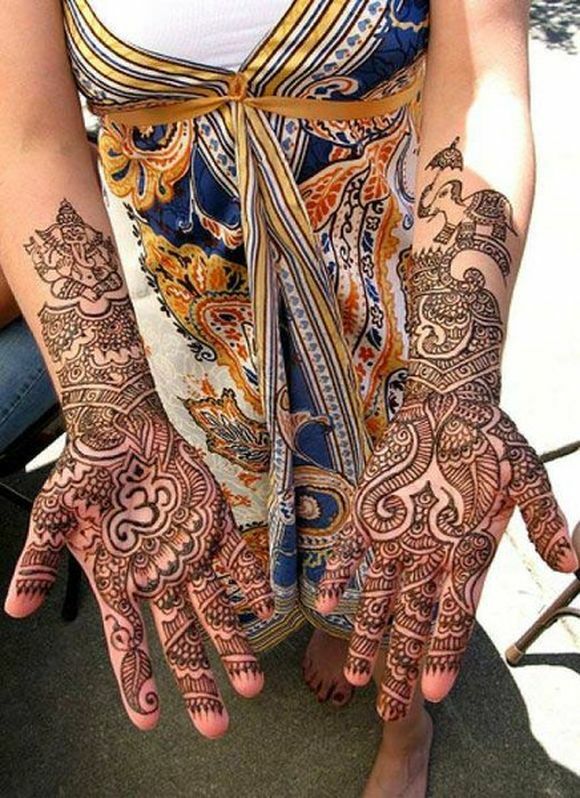 An interesting mix gives a trendy look to your hands. A must try for the modern woman. 10. 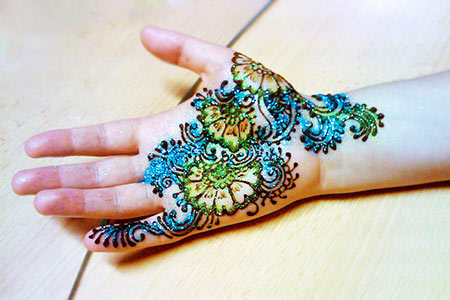 Glitter and multi-colored mehendi designs: These work well with any kind of mehendi art. Bold designs with delicate patterns are studded with colorful stones or different shades are used as fillings in between. 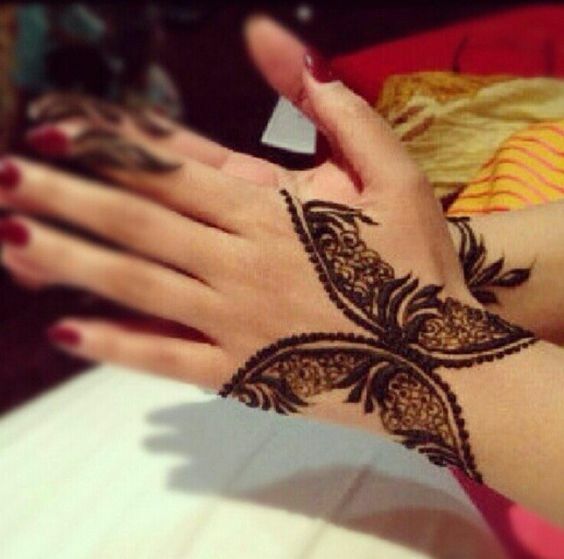 Looks extremely attractive and is for women who love to experiment. 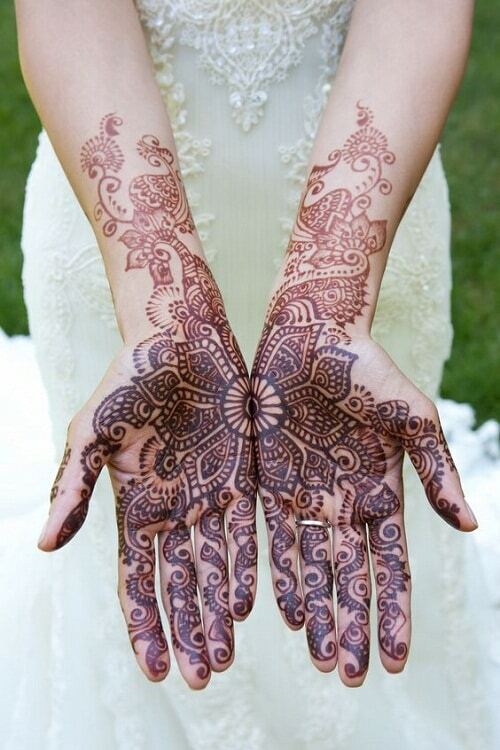 This one is surely an eye-catcher. So, go for it ladies. 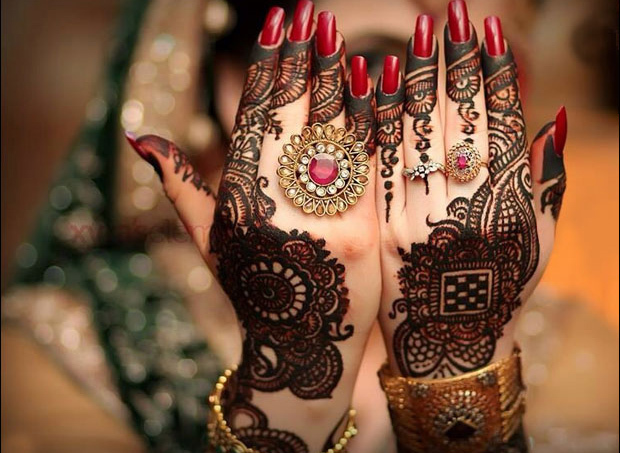 Make your first Karwa Chauth the most memorable with memories to cherish for a lifetime! 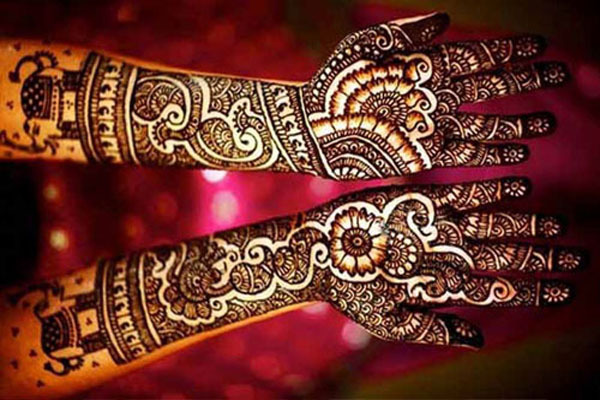 ← 20 Designer and exquisite Karva Chauth special sarees to shop for!